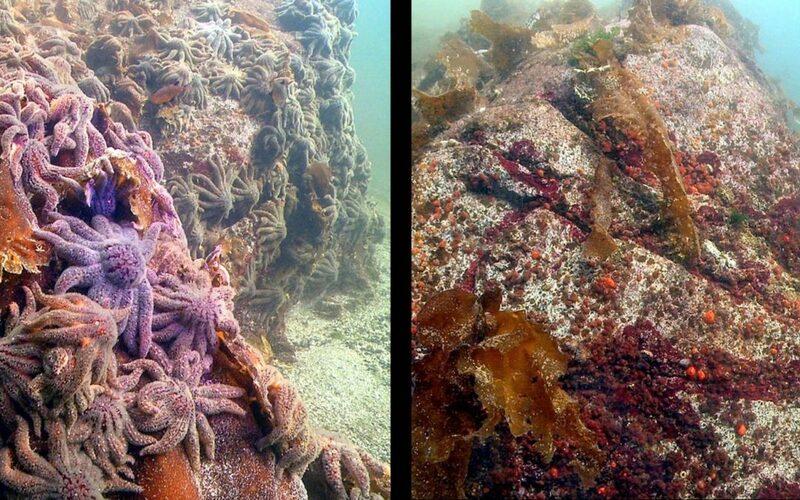 SNIP: Once a common delight of every beachcomber, sunflower starfish — the large, multi-armed starfish sometimes seen underwater at the near shore — are imperiled by disease and ocean warming along the West Coast. Global warming is likely a major cause of the disease, causing a heat wave in the oceans. Warmer temperatures exacerbate sea star wasting disease, allowing it to kill faster and have a bigger impact. “The cascading effect has a really big impact,” said Joe Gaydos, an author on the paper and science director at the SeaDoc Society.